Imagine you have the opportunity to create the best company to work for on earth. What would it be like? is not an idle question. In the past, businesses expected individuals to conform to the organization’s needs. But the paradigm has flipped. The competition for scarce talent is now about making organizations more valuable to individuals – who are already valuable. It is about creating great workplaces that attract and hold talented people – and encourage creativity and innovation. This may all seem obvious. After all, who would want to work in the opposite kind of place – an organization where conformity is enforced, where employees are the last to know the truth, where people feel exploited rather than enriched, where values change with the seasons, where work is alienating and stressful, and where a miasma of bureaucratic rules limits human creativity and effectiveness? And yet – still – this is what many workplaces feel like! So what can be done? Although there are no quick fixes you should not push the pursuit of DREAMS down the list of priorities. Is not a matter of either/or. 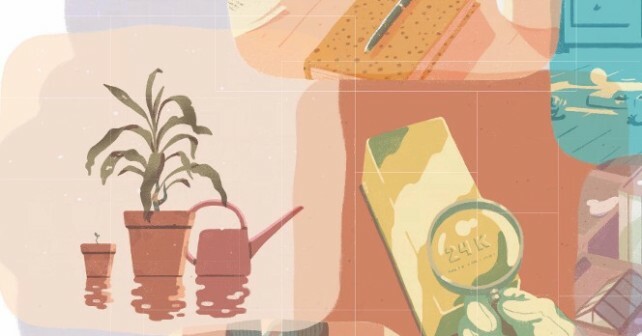 Building great workplaces is not an alternative to, but rather a means for, responding to competitive challenges, building productivity, unleashing creativity and winning. We believe that small shifts in behaviour can have a disproportionately significant impact. 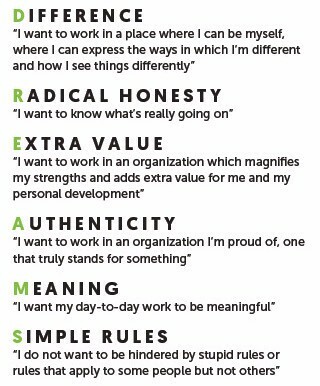 Here are some ways you can help your company become a better place to work and a beacon for talent. -Practise what you preach Don’t ask others to do things you wouldn’t do yourself. You are unlikely to engender respect for the rules – or for yourself – if you repeatedly create exceptions for yourself or for others. If you have rules, believe in them! Example: Netflix has attracted praise for its attempts to keep its HR rules simple. 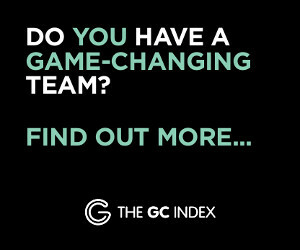 Whichever organization you are part of – and no matter where you are within the company – our aim is to inspire you to make the DREAMS real so you can have a positive answer to a difficult question: why should anyone work here? 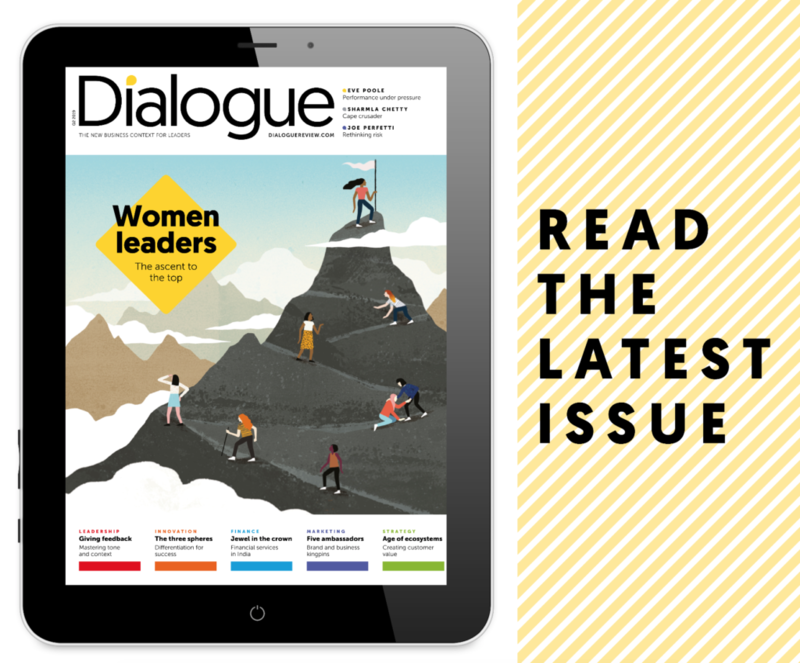 Dialogue is an original, practical and world-class journal, which focuses on key issues and challenges encountered by business leaders and managers around the world. The content of Dialogue will cover a wide range of topics relevant to leaders in different management functions and geographic locations, drawing on the opinions and research of some of the world’s most prolific business writers.